Juergen Stackmann: "Everyone thinks you need to conquer the globe, but Europe is large enough." Racking up over 1.4 billion euros in losses over the past eight years, Seat is to Volkswagen Group what Opel is to General Motors. Both brands are dependent on a weak European market, absent from overseas growth markets and suffer from weak brand images. Compromises made to boost sales such as the Exeo -- an old Audi A4 reborn as a Seat -- only muddied the Spanish automaker’s positioning. The sedan flopped with production ending in 2013 after just five years. 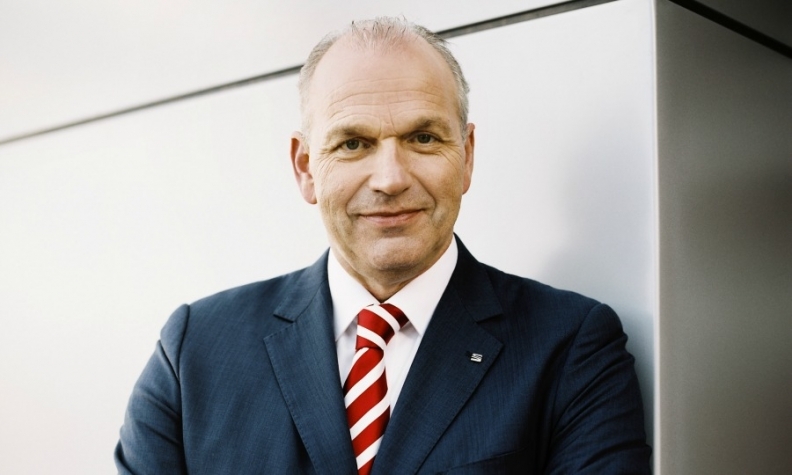 To turn around the company, Seat President Juergen Stackmann has undertaken cost cuts ranging from the mundane -- more economical printers -- to the symbolic -- flying low-cost airlines on business. The cuts combined with rising sales helped Seat to fully finance its investments from its own cash flow last year for the first time since 2007. The automaker, however, appears on track to lose money again this year. Automotive News Europe Correspondent Christiaan Hetzner spoke with Stackmann about what Seat needs to do to turn a consistent profit. How many more years of losses at Seat will VW Group tolerate? I waste no time thinking about this. I focus on the future and both [VW Group CEO] Martin Winterkorn and [VW Group Chief Financial Officer] Hans Dieter Poetsch fully support our strategy. We are the youngest brand in Europe, and we have the youngest customers. What we need to do over the next five years is to move from the young to the young in spirit. But bringing older customers to the brand is much easier than trying to do the opposite. MAIN CHALLENGE: End the brand's chronic losses in Europe and broaden its appeal beyond the Ibiza while attracting older, more affluent buyers. Since 2006, Seat only reported an annual profit once, 8 million euros at the absolute peak of the market. Does the brand need a crossover to be profitable? The crossover that comes in 2016 is fundamental to our future, since this segment comprises nearly 10 percent of the European market. It’s like suddenly having half of Germany added to our potential customer base. People who want a crossover don’t buy another product. Nevertheless, there is not one single element that will get us there. Right now the most important task is to really anchor the Leon in the compact segment. We already have the three-door SC, a five-door model, the Cupra performance car, and now with the ST wagon and X-Perience allroad we have a complete lineup. About 600,000 to 700,000 wagons are sold in Europe annually and we didn’t have an entry before in that part of the compact class. This helps with our push into fleets, since we finally have the right product. Do you need to expand beyond Europe? The focus remains on the EU27 markets. We’re making big improvements in image, while stabilizing and expanding our network of showrooms. In Germany we’ve opened nearly 80 new dealers over the past two years and now we’re expanding in England and France. We’re also more than 50 percent in central Europe, where customers like bigger cars, so the Leon is ideal for them. Everyone thinks you need to conquer the globe, but Europe is large enough with [a total market of] 15 million vehicles. We have a market share of more than 2 percent, so we still have 97 percent left to go. Recently managers from Seat have gone to Skoda and vice versa. How does VW’s Czech subsidiary help you? There is no real principle behind it, but we work together with Skoda in two areas so it helps when the people know and trust each other. While we designed and developed the upcoming crossover, manufacturing will be handled by Skoda’s plant in Kvasiny. We also have the Toledo built in Mlada Boleslav. What surprised you most when you arrived in your new job after running VW brand’s global marketing? When you come to Seat, you naturally assume a lot must be going extremely wrong. But I was surprised by how passionate our employees are about the brand, so I didn’t need to make a lot of adjustments to the team. It was their approach that was the problem. The company has a large plant in Martorell outside of Barcelona, and there was a lot of importance placed on how we fill the capacity. If you focus on the customer, underutilization of capacity will not be a problem. In the last couple of years we’ve reaped the first fruits of our labor. Volumes rose 10 percent last year in a stagnant European market and sales are currently growing at a double-digit rate. For the first time in our history, we now have in the Leon a model that can match volumes with the Ibiza [subcompact]. As a result we’re filling the plant bit by bit. This year we will build more than 400,000 cars in Martorell.